Marriott International plans to open 40 new hotels across its luxury brands next year, bringing its inventory to 422 properties in more than 60 countries by the end of 2018, Global Brand Officer Tina Edmundson told Travel Market Report during International Luxury Travel Market (ILTM) last week in Cannes. It will also start taking reservations for the Ritz-Carlton Yacht Collection, which will launch in 2019; it has already started booking full ship charters. 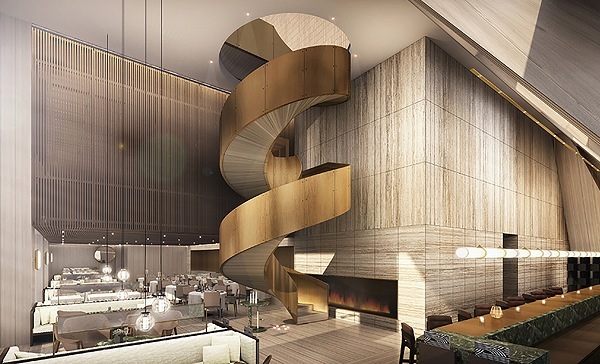 Edition will see hyper-growth moving from four to 11 hotels, including properties in: Shanghai (pictured above), Bangkok, Abu Dhabi, Barcelona, Bodrum, West Hollywood, and Times Square in New York. Bulgari will plant its flag in Dubai next year, as well.